On the surface, China is talking the reform talk. But is it also walking the walk? There are many examples to demonstrate it isn’t. The most recent one is a directive from the China Banking Regulatory Commission (CBRC) to not cut off lending to troubled companies and to evergreen bad loans. This first reported by The Chinese National Business Daily on Aug. 4. “A Notice About How the Creditor Committees at Banks and Financial Institutes Should Do Their Jobs” tells banks to “act together and not ‘randomly stop giving or pulling loans.’ These institutes should either provide new loans after taking back the old ones or provide a loan extension, to ‘fully help companies to solve their problems,'” the National Business Daily writes. The official reform narrative is espoused in this Xinhua piece which claims China has to reform because there is no Plan B. “Supply-side structural reform is also advancing as the country moves to address issues like industrial overcapacity, a large inventory of unsold homes and unprofitable ‘zombie companies. '” Clearly resolving the bad debt of zombie companies is not high on the priority list. Goldman Sachs complained in a recent note to clients that companies can default on payments and often nothing happens. The investment bank notes that companies like Sichuan Coal default on payments of interest and principal for weeks or months and then maybe pay creditors later. 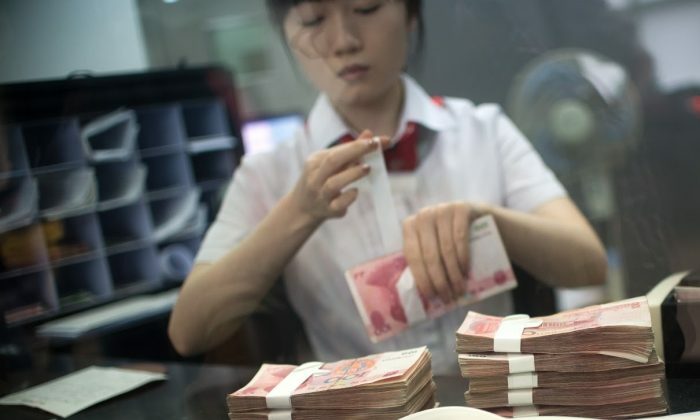 The company in question defaulted on 1 billion yuan ($150 million) worth of commercial paper in June but made full payments later during the summer, a somewhat arbitrary process. Another case is Dongbei Special Steel, which missed at least five payments on $6 billion of debt since the beginning of the year, but has done nothing to resolve the problem. This is why creditors wrote an angry letter to the local government to help resolve the issue. Going forward, we do expect this trend to continue. “Going forward, we do expect this trend to continue, with more defaults given our expectation of slower growth in the second half, and continued uncertainties on how these defaults are resolved,” Goldman Sachs wrote. With the blessing of the regulator, Goldman’s prediction is probably correct. The investment bank notes that 11 out of 18 high-profile defaults have not been resolved since the first official default of a Chinese company by Chaori Solar in 2014. The notice did include a modifier stating that the companies to be supported “must have a good outlook in terms of either their products or services and have restructuring values,” and that the “the development of the companies should be in line with the macro-economic policy, industrial policy and financial supporting policy of the country.” How serious banks will take this modifier is open to debate. “A clearer debt resolution process … would help to pave the way for more defaults, which in our view are needed if policymakers are to deliver on structural reforms.” If they want to deliver.